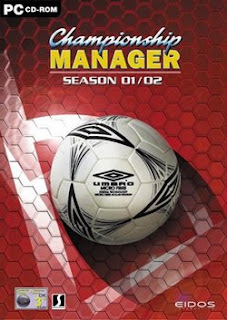 The Championship Manager series from Eidos has always been one of my favourite games for the PC. The best version of the game as far as I’m concerned was the 01/02 season which was the last version from the Championship Manager 3 series. The good news is that Eidos have released this version of the game for free. The official download link seems to be broken but you can download the game via http://hotfile.com/dl/17118634/513af0b/cm0102.zip.html. This is a LINUX blog however and the point of this article is to show how to install and run the game using WINE. This article also shows you how to get the game running without the CD. Annoyingly enough Eidos did not remove the requirement to insert the CD before use even though the game is now free. (I suppose if you are giving something away you probably aren’t going to spend too much effort making changes). This is a real problem if you intend to run the game on a netbook without a CD/DVD drive. To try and prove the point that the command line is also less and less important for LINUX I will also show you how to download the game using minimal command line activity. First of all you need to download the game using the link above or from the Eidos website if the link is back up and running. Navigate to the folder that contains the zip file. (If using UBUNTU or MINT this can be found by selecting Places -> Downloads). I am using peppermint so I select the menu and then file manager. The file is located in /home/myname/Downloads. Open the zip file by double clicking it and extract the ISO into /home/yourname/CM0102. (Or wherever you want the file to be located. This file should not be removed after installation so don’t put it in a temporary folder). Now you will need WINE installed and it must be WINE 1.3 or above. 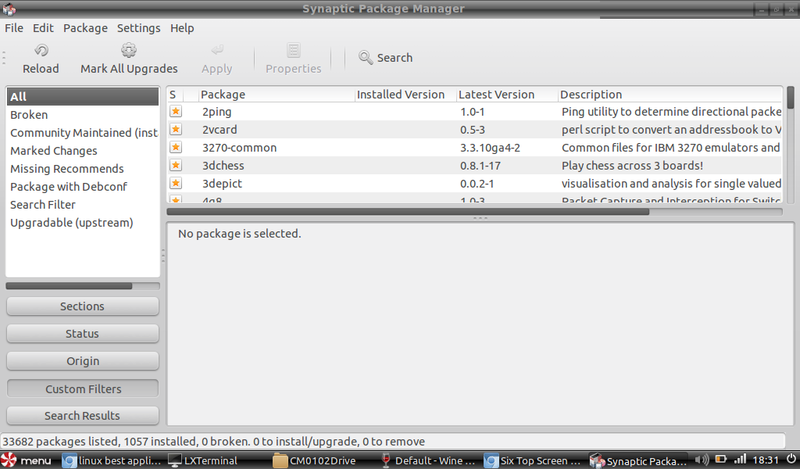 Open the Synaptic Package Manager which is under the system tools menu. When Synaptic loads type WINE into the search box. If you scroll down then you will see WINE 1.3 listed as an option. If WINE 1.3 is not listed as an option you probably haven’t got the repository selected that contains WINE. As I am running Peppermint LINUX WINE did not appear as an option at all. To resolve this issue select Settings -> Repositories from the menu. The software sources window will open. Click the other sources tab and tick the icon that says Canonical Partners (Make sure it is not the one marked for source code). If you don’t have an option for Canonical Partners click Add. When the window comes up in the URI enter http://archive.canonical.com/ubuntu natty main. Make sure the new repository is ticked and click close to shutdown the Software Sources window. A message will appear telling you that you need to click the reload button so do just that. Now when you enter WINE in the search box you should see version 1.3 available. Right click the mouse on WINE 1.3 and select Mark For Installation. Now click Apply to install WINE. 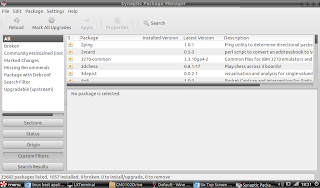 The installer will download the required packages and start to install them. Half way through you will get a message that says “Configuring ttf-mscorefonts-installer”. You need to accept the end user license agreement to continue. At first it isn’t obvious how to select the button. Simply press the tab key and then press the enter key to continue. You will then be presented with the options to say you agree. Press the tab key until the word is highlighted and press the enter key. Before installing the game it is a good idea to mount the CM0102 ISO file as it will be needed when playing the game anyway. To do this there is a terminal command that can be ran but this tutorial is about doing everything graphically. Open a browser and navigate to http://linuxappfinder.com/package/gmountiso. Now download the package by selecting the relevant respository. Double click the downloaded file and a terminal will open. Press I to Install gmount-iso. The install will require you to enter the method to connect to root (sudo) and will require the root password. If all has gone well there should now be a menu option for gmount-iso in your accessories menu. You need to create a folder to mount the ISO to. Open your Home directory by selecting Places -> Home and then create a new folder (call it CM0102Drive or something memorable). Now open gmount-iso by selecting it from the accessories menu. Next to the word Image file click the open button and find the extracted CM0102.ISO file. Click the open button next for the Mount Point and select the folder created in the previous step (i.e. CM0102Drive). Click the Mount button. You can now quit the application. Navigate to the CM0102Drive folder. (Select Places -> Home and then find the folder which contains the ISO). Right click the autorun.exe and select open with Wine Windows Program Loader. You should now be in the games installer. Select the appropriate language and click OK. Select yes to accept the license agreement. Click next to install the game to the default folder (Or change it by selecting browse and finding a different folder if you so wish). Click either typical, custom or compact to choose which version you want installed. Click Next to continue. Click next to get past the Program Folders screen. The game should now install. At the end you are asked if you want an icon added to your desktop. (Yes if you do, no if you don’t). You will now be asked if you want to install direct x and read the readme. Untick the boxes and click finish. To run Championship Manager select Wine from the accessories menu and select configure WINE. 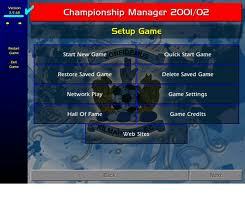 There is a memory problem with Championship Manager unless you run it with compatibility mode set to Windows 98. 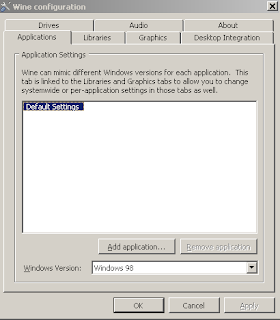 Within the Applications tab change the Windows Version to Windows 98. Within the drives tab click Add and select D as the drive letter (or any letter that is still free). Click Browse and find the path to the CM0102Drive folder created earlier. Click Apply. Within the graphics tab select Emulate a virtual desktop and select 800 x 600. To run the game select the wine -> programs -> championship manager 01/02 -> championship manager 01/02. When the settings screen loads select the options you require but…. DO NOT SELECT WINDOWED MODE. Now select start new game, enter your name, select a team etc. If you are asked to enter a CD into the drive just press OK and it should just continue and you are able to play the game. 1. Windowed mode appears to cause the screen now to refresh which is why I set the virtual desktop to 800×600. 2. 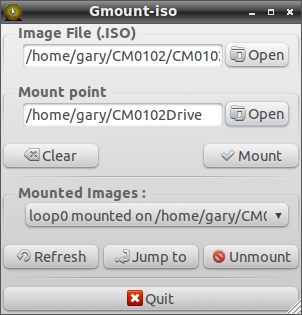 To run the game on subsequent boots you need to remount the ISO file using GMOUNT-ISO as described above. Its quite a long install process but if you already have WINE 1.3 installed then this is probably the longest part and can be used to install so many more Windows games. If you open the winetricks application you can install a number of different games and applications. But i dont find up to do the update for the game. I cant mount it through gmount. It asks me for a root password (which I finally learned how to change through the terminal), but even when I enter the correct password it just says that I have entered the incorrect password. I also cant access the drives in Wine. 'failed to connect to the mount manager, the drive configuration cannot be edited'. I'm a bit stuck! Which version of Linux are you running? I will write a new step by step guide for that version and maybe make a video. It don't work for me on my Kubuntu. I get into the game but not past the cd requirement. Out of desperation I tried to "crack" it so that I coppied the cm0102.exe from the improvized diskfolder of the mount program to the directory where the game is installed (program filed in my case) and still nothin. Also the program you mentioned for mounting would not work for me.Furius iso did. Any chance this would work on tabloid?